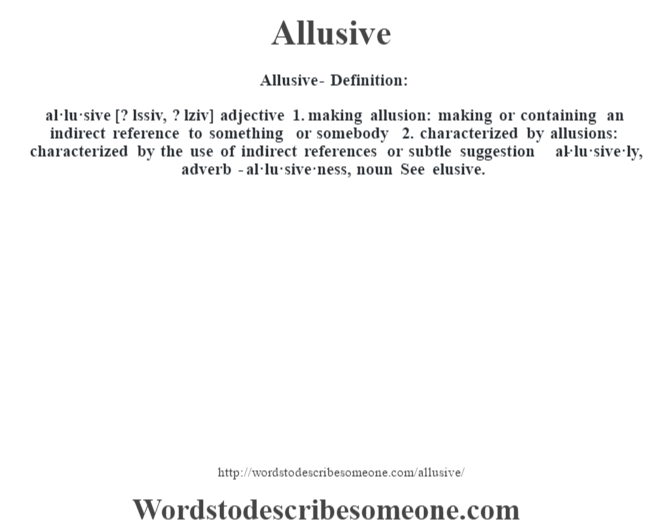 al·lu·sive [? lssiv, ? lziv] adjective 1. making allusion: making or containing an indirect reference to something or somebody 2. characterized by allusions: characterized by the use of indirect references or subtle suggestion -al·lu·sive·ly, adverb -al·lu·sive·ness, noun See elusive.